Tennis elbow, also called lateral epicondylitis, is inflammation of the outer tendon of the elbow. Usually, this condition causes pain and occurs from a strain injury to the tendon during backhand tennis hitting. The inflammation occurs at the outer aspect of the humerus bone at the elbow joint, called the epicondyle. When the inflammation occurs to the inner portion of the tendon, it is called golfer’s elbow or medial epicondylitis. Golfers often injure this body region when striking the grown to take a deep divot. 1. 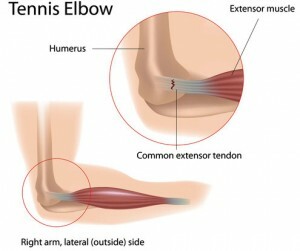 What Causes Tennis Elbow? The most common cause of lateral epicondylitis is strain to the tendon at the outer region of the elbow. Other activities can also cause strain to this tendon area, such as repetitive activities like using a screwdriver on the job or during hobbies, Frisbee disc throwing, and lifting objects. There are several things that put a person at risk for elbow joint and tendon strain. These risks include playing tennis, falling onto an outstretched hand, casting a fishing net, and repetitive use of the arm and elbow. 2. How is Tennis Elbow Diagnosed? Tennis elbow is diagnosed by its symptoms, which include elbow weakness, pain, tenderness of the outer elbow, and stiffness of the joint. Usually, a person with lateral epicondylitis will report decreased range of motion which does not involve swelling or discoloration. However, the individual can regain range of motion after rest, but may find simple activities cause pain, such as shaking hands or holding a cup of coffee. The orthopedic specialist can diagnose tennis elbow based on your personal history and assessment of the symptoms. 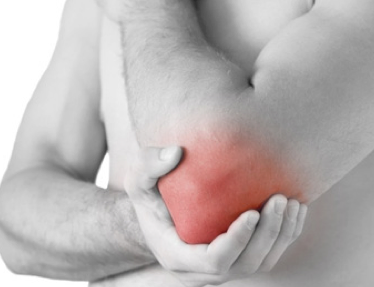 The physician will look for outer elbow pain and tenderness with range of motion. Also, MRI scanning may show inflammation of the elbow, but x-rays typically do not show any findings. 3. What is the Treatment for Tennis Elbow? Conservative treatment for tennis elbow involves resting the elbow for a specified period of time. Also, the physician will have you employ certain measures to reduce swelling and local inflammation. Cool packs are to be applied several times each day, and anti-inflammatory medications will relieve pain and swelling, such as naproxen (Aleve) and ibuprofen (Advil). Additionally, the orthopedic specialist may prescribe physical therapy and rehabilitation exercises if the pain persists. For those patients who compete in sports or need to return to activity, local cortisone injections are beneficial. 4. What is the Prognosis for Tennis Elbow? Tennis elbow usually does not require anything more than conservative measures, such as rest and avoiding reinjury. To avoid strain of the elbow joint, tennis players are urged to employ proper hitting technique and use tennis elbow straps to minimize the risk of injury. Also, exercises are done to strengthen the associated muscles to avoid the reoccurrence once the symptoms have subsided. Your Phoenix orthopedic surgeon has ruled out other causes of elbow pain, such as arthritis, muscle injury, nerve problems, and injury to another tendon. Your elbow is still painful after 6 to 12 months of tendon rest and physical therapy. You cannot do normal activities of daiy living or simple job tasks because of the elbow pain. The cortisone shots were given, but the pain persisted or returned after these. 5. What are the Surgical Choices for Tennis Elbow? Surgery for tennis elbow involves releasing the tendon and removing the damaged portion of the structure. For some patients, tendon tears are reattached if the repair can be done without reconstructing the tendon. These surgeries are done by means of open procedure (through a large incision) or by arthroscope (a tiny, flexible tube with a camera). 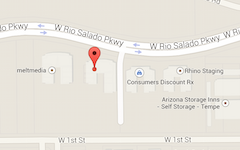 A combination of open surgery and arthrscopic surgery is often done when the Phoenix or Scottsdale orthpedic specialist feels this is necessary. The surgical technique used is determined by the location, type, and severity of the tendon injury, and by the surgeon’s expertise and preference. There is no medical research studies that indicates one surgery being superior to the other. Success of tennis elbow surgery depends on the attitude of the patient, participation in rehabilitation, and extend of injury to the tendon before the procedure.